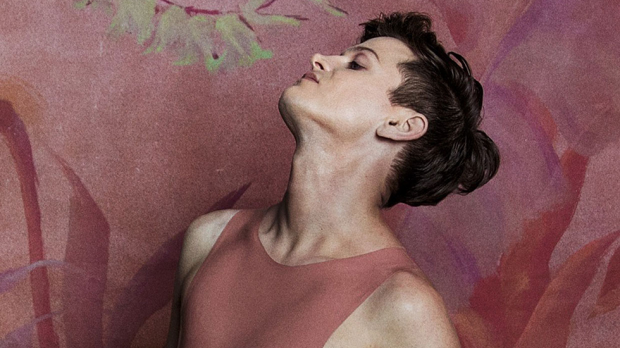 Perfume Genius’ latest slice of brilliance comes to us via new song Slip Away. The track is short and dramatic, but what it lacks in length it makes up from in soul and finesse. Slip Away starts with Mike Hadreas’ angelic and soulful voice draped over simple tribal drumming and nothing else, it’s as beautiful of an intro as you can get, and it only gets better from here. The song propels into a zenith of cadenced riffs, harrowing feedback and resounding percussion, all the whilst reverberating and swirling with emotion and melodic phrasing. The song dives and sweeps operatically, with such beauty and dynamic that it could only be attributed to the uniqueness that is Perfume Genius. Lyrically and visually, the song is a triumphant celebration of letting go and freeing yourself. With Hadreas singing “Don’t look back, I want to break free/ If you’ll never see ’em coming. You’ll never have to hide”. It’s about fighting for your identity and fighting the internal and external dialogue that drenches you in self-doubt. It’s an impassioned reminder to stay true to yourself and make no apologies for who you are. Slip Away is equal measures confessional, personal and delicate as well as wrathful and energetic. The video encapsulates this with that eerie, eccentric and individualistic Perfume Genius style, featuring Hadreas and a friend dancing and playing innocently and carelessly under the watchful eye of gremlin monsters who look to pray on their inner freedom. The gremlins follow them around judgingly until finally Hadreas and company manage to burn and destroy them with a bright light. It’s hard to know exactly how Perfume Genius makes sonic pop music sound so emotional and instinctual. It’s like he has crawled inside a machine and his enchanting, fragile, irate soul has spat the song back out. In short, it’s the most interesting and powerful song you’ve heard in a long time, perhaps since his 2014 release Queen. What am I saying? Slip Away is the most enchanting and moving song since Queen and Perfume Genius proves yet again that his ability to make affecting fringe pop music is unsurpassed.